The trend of range bound volatility for Treasuries continued this past week with yields moving towards their upper bounds. Greece was able to accomplish their private sector investor debt swap, while Friday’s jobs figures produced a better than expected print (Survey: 210k, Actual: 227k) and included upward revisions of 61,000 to previous months data. Additionally, the discussion of further Fed quantitative easing was reignited Wednesday after the Wall Street Journal article, “’Sterilized’ Bond Buying an Option in Fed Arsenal,” hit the wires. In the article, the Fed is described as considering the use of short-term repurchase operations, in which the Fed would sell and later buy back (reverse repos) to counterbalance their purchases of long-dated mortgage backs and/or Treasuries. The procedure would be similar to the current Operation Twist (OT) program with the Fed sterilizing or creating no new excess reserves (money supply neutral), as a means to control inflation expectations. Why would the Fed use short-term reverse repos as opposed to just extending out the current OT actions by selling short-term Treasuries? Based on the current pace of sales under the Twist program, by the time of its completion in June, the Fed is expected to hold approximately $150bln-$175bln in the 3-month to 3-year bucket. This level may be seen as too low to engage in another round of sales and have an impact. In response, the Fed could consider pushing further out the curve, but even by extending by one year, the amount it would have available for sale would only increase to a total between $275-300bln. Adding to this dilemma is the issue that if the Fed focuses its purchases on mortgage securities it will more likely than not need to sell an even greater amount of Treasuries to match the duration impact. Enter the sterilized option, which has its own drawbacks including the potential upward pressure that would be placed on front-end rates such as General Collateral (GC), Overnight Indexed Swap (OIS), Fed Funds and 2-year Treasuries. Both Barclays Capital and Bank of America/Merrill Lynch estimate that short-term rates could see a 10-15bp increase as a result of the program. While this rise in rates is not significantly dramatic, it would negate the Fed’s use of its commitment to maintain a lower for longer communication strategy meant to control the front-end. On the positive side, the sterilized option presented in the WSJ article, may have limited impact on inflation expectations helping to keep long-dated rates in tow as opposed to an outright unsterilized QE operation. This aim to keep the long-end in a depressed range may very well be the ultimate goal the Fed is attempting to pursue. In previous QE episodes, the Fed’s objective was to drive rates lower leading to increased risk taking and in an attempt to help lower housing borrowing and refinancing costs. This time though, it may no longer be a desire to push rates lower, but instead to keep rates lower for longer in a range that continues to promote the attractiveness of riskier asset classes. Nevertheless, it appears somewhat premature to detail another asset purchase program given the repeated indications from Fed officials including Bernanke himself that further easing would be based on either a weakening of the economic landscape or a considerable decrease in inflation towards a deflationary spiral. Neither of which appear to be currently at hand. This week’s FOMC meeting is unlikely to contain any mentioning of new easing and is expected to reference an improving economy albeit below the Fed’s targeted goals. Looking forward, April is likely to be a more critical month of debate on the subject with the release of this upcoming week’s FOMC minutes on April 3rd and a two-day FOMC meeting scheduled for April 27th. In the meantime, the path of economic data releases may be the key rate driver, especially now that the Greece situation has been kicked far enough down the road to allow the markets to focus on the current pace of economic growth, as well as the impending fiscal issues the economy faces towards the end of 2012. After a two week reprieve, the Treasury will conduct the sales of $32bln 3yr, $21bln 10yr, and $13bln 30yr notes beginning this Monday. The auctions come at a key time given the positioning of Treasury yields near their upper bounds and the importance the clearing yields at the previous set of these auctions (Feb 7-9th) have played in setting the upper bounds in which 10yr and 30yr yields have traded in since. The chart below displays the clearing yield (yield set at the auction), the bid-to-cover (BTC) ratio (the ratio of the total bids submitted and the amount accepted; a higher ratio is seen as stronger demand), and the auction tail data (a tail occurs when the clearing yield determined at the auction is higher than the 1pm when issue yield level. When the auction prices below this 1pm when issue yield level the terminology is said that the auction has priced through the bid level. A negative figure for the tail in the table is viewed as a positive) for the previous 3yr, 10yr and 30yr auctions, as well as the 9-month average. With the exception of the February auction, the 3-year has typically seen strong demand gauged by the BTC ratio and the low number of auction tails. Since September, the 3-year auction has seen steadily rising BTC ratios and has only tailed twice in those nine auctions. These consistently strong auction results have lead to the 3yr being a more subdued affair; however, after last month’s poor showing, a return by foreign investors will be watched for, as domestic investor participation has been declining. The 10yr has witnessed strong demand at the three previous auctions with domestic funds and foreign investors increasing their participation in each. Dealer positioning in this portion of the curve is negative as a result of the Fed’s Operation Twist activity and the negative dealer holdings have been supportive of the auctions. The long bond tends to be the wild child as BTCs and auction tails can vary dramatically from one auction to another. Demand statistics have been weakening at recent auctions with three of the last six tailing; however, this Thursday’s auction will be a reopening of the previous issue, which has experienced on average much better demand than new auctions during the past two years. Based on how successful these auctions are the recent trading range for 10yr and 30yr yields may be put to the test. Below are the technical charts for each security with crucial resistance and support levels highlighted. Commentary provided courtesy of Raymondjames.com. 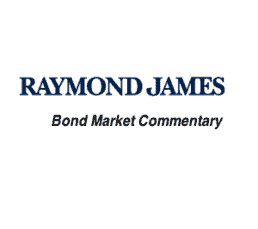 All copyrights are retained by Raymond James Financial.